How Far is Indira Orchard Town? 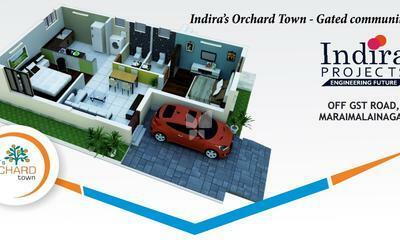 Indira Orchard Town is one of the popular residential developments in Maraimalai Nagar, neighborhood of Chennai. 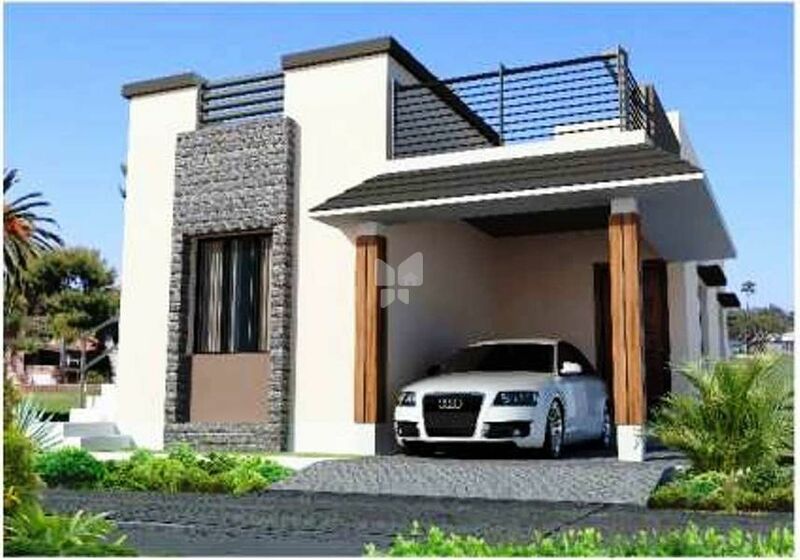 It is among the ongoing projects of its Builder. It has lavish yet thoughtfully designed residences. RCC Structure with red bricks walls, Plastered Smooth an emulsion painted. Wiring: Concealed good quality multi strand copper wiring using brands like Anchor / roma or equivalent make. Switches: High end Modular switches will be provided. 1 Main distribution box for each flat fitted with inverter provision and 1 MCB for each room provided in the distribution box. Indira Projects & Developments (T) private limited, is a company started to create passionate technical implementation in all types of construction projects. The company is driven by Young, Energetic and Reliable team with Excellent International technical knowledge with local adopt. The company is promoted by Mr. Bhupesh Nagarajan a Civil engineering graduate with a decade of experience in managing Building projects in India, Singapore and Thailand on Residential, Industrial and Hospitality buildings. He worked with experienced Indian and International Technical experts. The Co-promoter of the company is Mrs Anantha Barathi, who is Visionary Scientific Researcher. She is presently at one Finland University as a researcher in Genetic studies. Indira homes and properties is a subsidiary of Indira projects & developments (T) private limited which mainly involved in property development projects. Our Business Diversifiedin two sectors as property development and consultancy services. We are developing and promoting Holistic Residential Properties in this branding of Indira Homes and providing project and construction management, Quality Auditcost and Contract Management, Procurement Management, Design Management, Consultancy Services through Indira Projects and Development (p) ltd.
We will energies as consultancy and developer with exceptional ideas with firm foundation in Technologies and Engineering which will change the focus on Construction Industry in India. We will introduce New Technologies which is affordable, sustainable technology and improve the standards of Life and Environment. We commit our self to work in International standards with local knowledge providing one stop solution for all construction, contract and site management. We assure all our clients to provide good quality of construction in very competitive budget, having different style of procurement and contract management. We will work from the scratch of the project and give a complete scene of project forecast to the client. We have complete team of expertise in Architecture, Civil &Structural, M&E, Contract management, Safety & Environmental management. With successful business strategies and hard work we have achieved an audited turnover of INR 35 million as our first financial year (2011 - 2012) business transactions. Our projected turn over for 2012 - 2013 financial years is estimated as INR 80 million and we had bagged consultancy contract worth of INR 15 million from renowned realtors of TamilNadu. We are still under consideration of taking up new project which will have an impact of rise up in turnover of our business transactions. We have assured turnover of INR 40 million for financial years 2013 - 2014 till now from our existing projects.